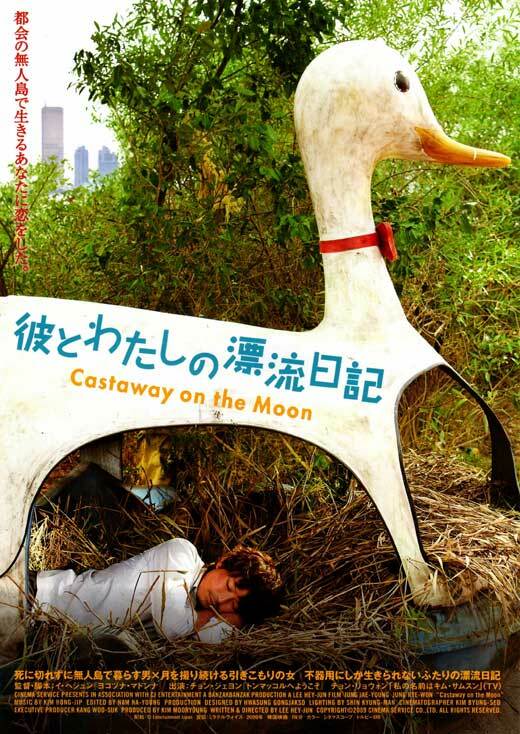 Castaway on the Moon has quickly become one of my favorite drama/romance Korean films (alongside such greats as 3-Iron and Failan). There are some truly hilarious and heartbreaking parts. I'm not ashamed to admit I got teary by the end. Btw, awesome site you have here. Gonna spend some time looking around. The first two pages of your reviews reads like a catalog of my DVD shelf (huge Korean film fan). I meant to add a recommendation— not sure if you’ve seen it, but it doesn’t appear under your review search— the movie, Sunflower, starring Kim Rae-Won. Dynamite Korean flick about an ex gangster released from prison who returns to the old neighborhood and attempts to stay out of trouble. You know there’s no way that’s gonna happen. Looks interesting to me. i like romantic comedy genres. Thanks for this. NO WORDS LEFT TO SAY...AMAZING. Truly wonderful film.One of my favorites. I' ve seen most of your recommended films and they were all fantastic...Thank you so much. Haven't seen this yet and based on your comments guys, I'll give it a try. Thanks! This is an awesome movie, powerful emotions, everybody who's ever worked in an office and got fed up is going to relate strongly to both the despair and hope of the hero. It also holds the simple philosophy that not holding great possessions and living a simple life is a key to happiness. I wanna express my admiration for what you are doing with this website. Keep it up, man! Over the years I spent much of my viewing time watching American and Japanese Classics, works by China's Fifth Generation filmmakers and some HK films. Korea had not much to offer until recently. I like 'Poetry,' Oldboy, 'and 'Castaway on the Moon.' The two troubled people in 'Castaway' have become like trash cast into the Han River. Sadly, the world's rush to take selfies and buy the latest fashion lends itself to throwing things away . . . . even two people of good character. Really liked this film about broken people. Was serious and yet funny, and with redemption.